Fused glass is a process of firing two or more piece of glass, in layers in a kiln at a high temperature so that the pieces of glass fuse together. 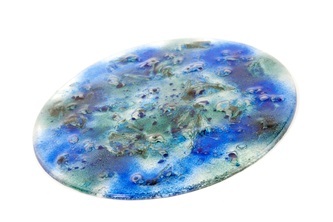 The temperature of the firing can vary depending on the end result you require . 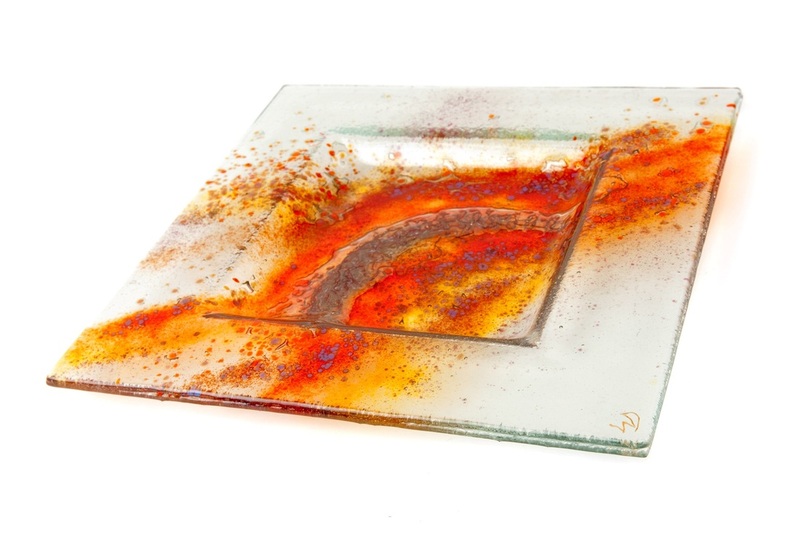 If the fuse has been at a high temperature then the glass will have been more fluid in the process and the glass will be rounded at the edges. 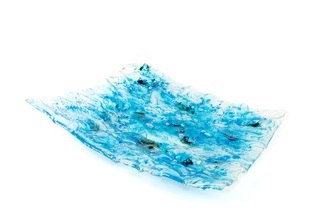 If the fuse was at a lower temperature then the glass will still fuse but will have more of a harder edge to it . 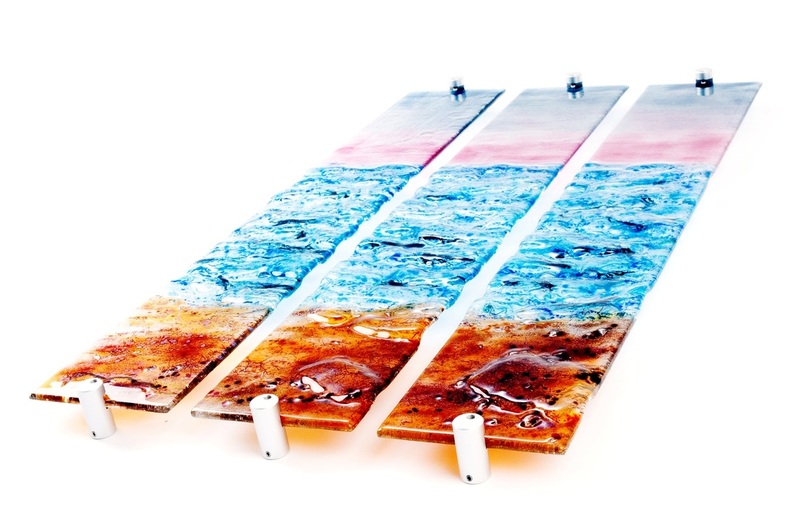 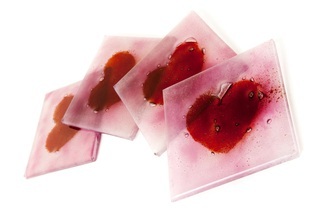 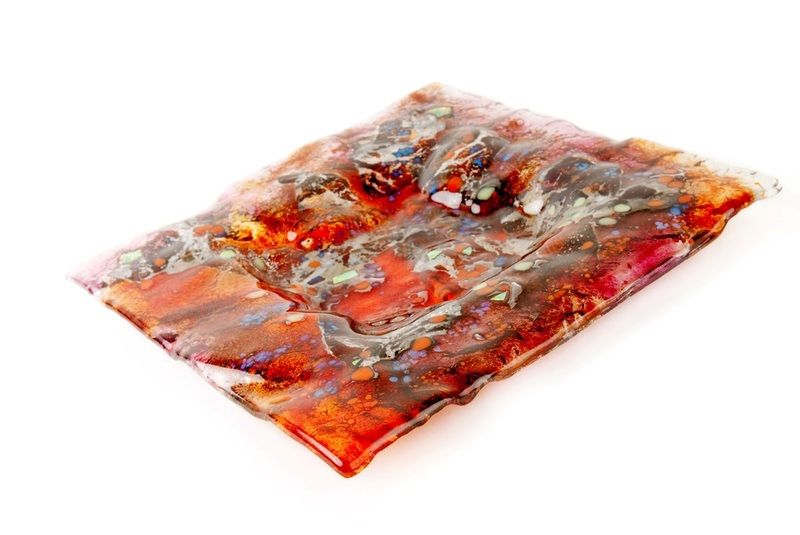 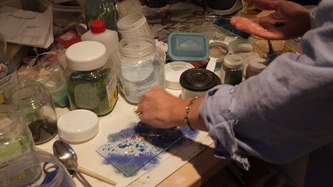 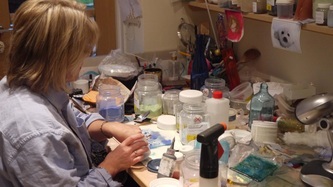 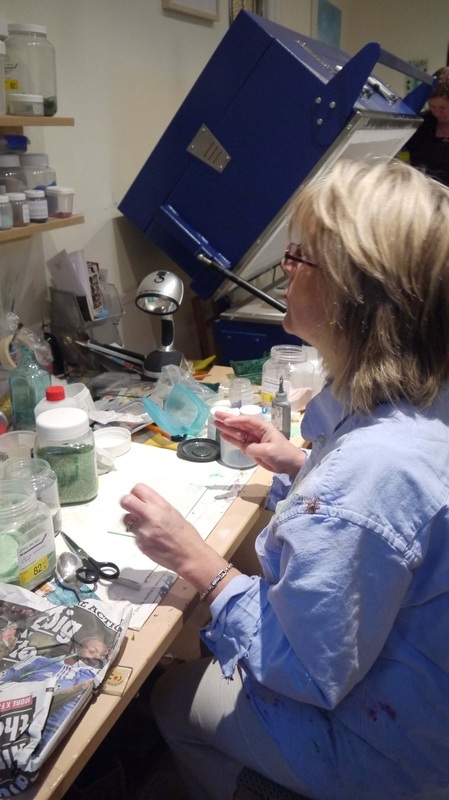 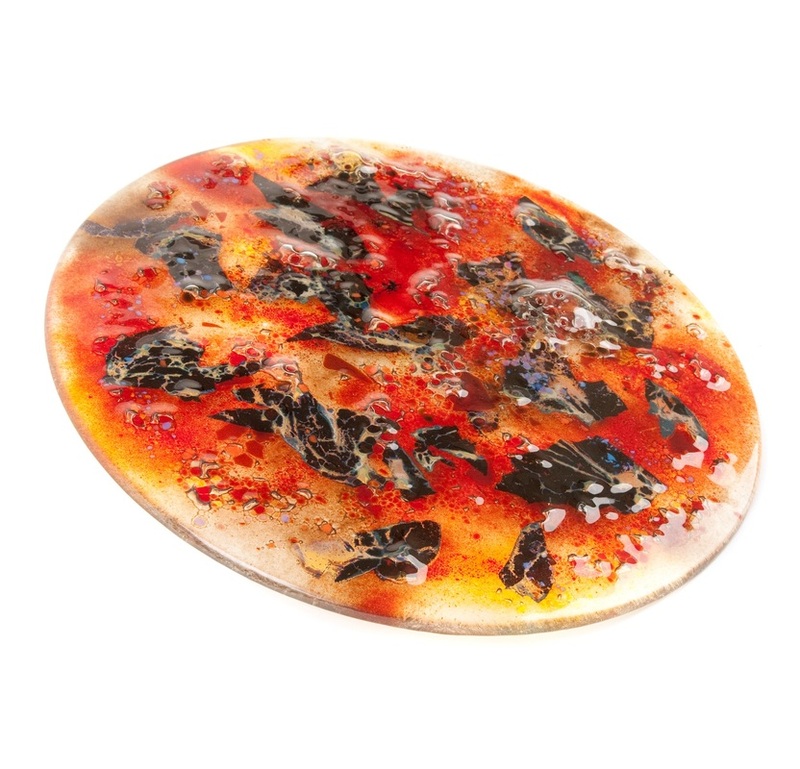 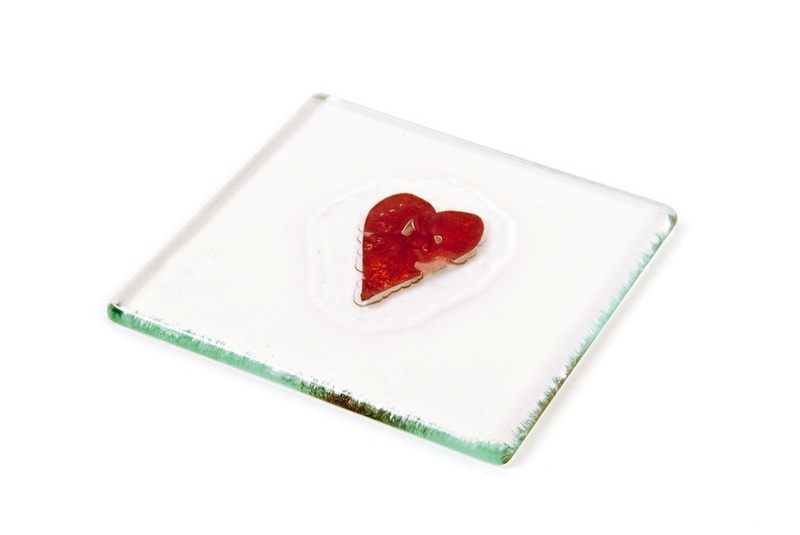 By incorporating different coloured glass powders and various metals between the two glass sheets then firing it, this can result in the most interesting unique textures and stunning mixture of colours. 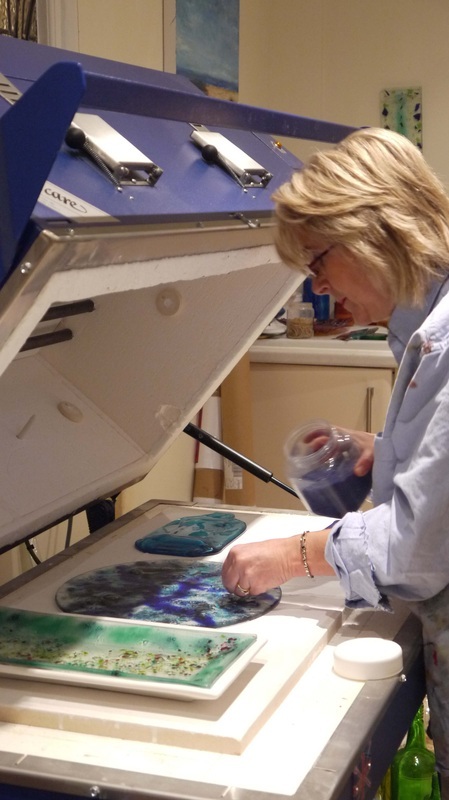 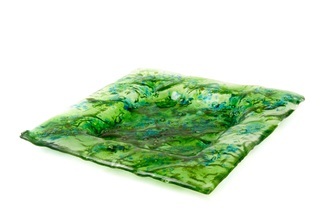 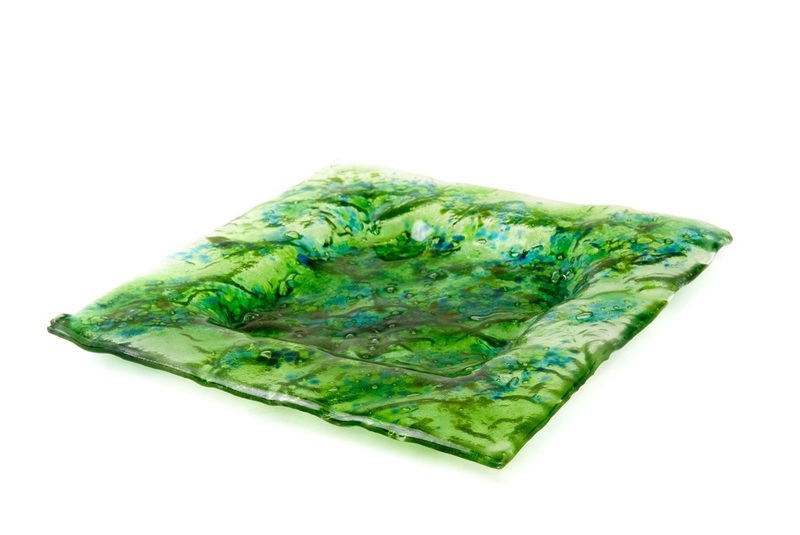 Slumping is the process by which the fused glass can then be put into a mould and returned to the kiln for firing. 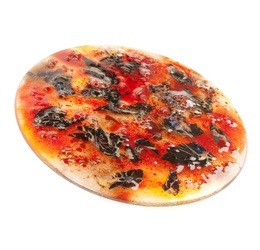 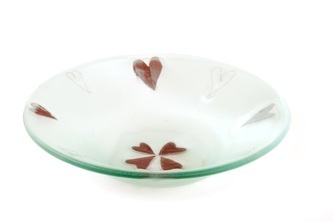 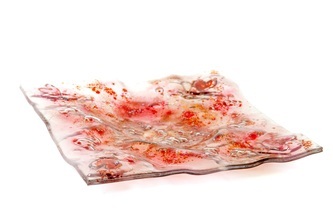 When the glass becomes hot it slumps in to the mould it is in thus creating a stunning bowl or dish.